In September 2015 we announced, in “Major cycle schemes for TfL roads to be presented to councillors“, the very welcome news that Sutton Council officers had produced a report recommending that councillors agreed to certain Space for Cycling proposals, relating to the A24, A217 and A232, be presented to Transport for London for consideration. It was clear that if any of the schemes that were proposed came to fruition, then Sutton could truly be on the way to become a cycling borough of distinction. (Unfortunately, shortly afterwards, St Helier effectively said no to cycling and, as far as we are aware, a report outlining these proposals has yet to be presented to TfL). At the time, and despite the heightened anticipation that progress was being made, there was some concern that the council’s focus on TfL roads came at the expense of acknowledging the ‘ward asks’ for borough roads (a formal review of which we have still not received). 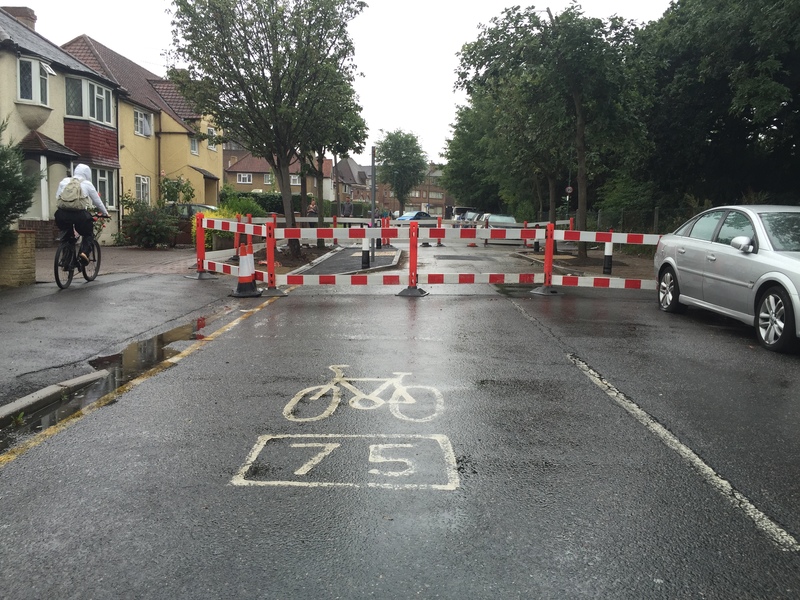 We suggested that the council needed to do more to demonstrate a commitment to cycling, and that this commitment would not be achieved by seemingly ignoring the borough roads (however challenging the borough roads may be). Furthermore, we advocated that there were certain current and on-going issues that, until addressed, would do little to boost Sutton’s reputation as a cycling borough that means business. By dealing with these types of issues, the Council’s aspirations for cycling would be seen as more genuine. So, what are these issues? Well, it’s time to go back to basics. Here are four scenarios to illustrate what needs to be done in our own back yard, through decisions made by our own councillors and proposals formulated by council officers. If we get this right, we will be in a much better position to get the “big money” from TfL. Development of the London Cycle Network (LCN) started in 1994. Much of the “infrastructure” that accompanied this network may have seemed acceptable twenty, or even ten, years ago. But now it is simply not fit for purpose. LCN route 76 passes within 300 metres of Stanley Park High School, a new state-of-the-art school that opened on its present site in January 2012. The route here works well, in so far as it allows cyclists and pedestrians (but not motor vehicles) to access two quiet residential streets (East Drive with Dingwall Road across Diamond Jubilee Way), but in terms of usability, design, public realm appeal or accessibility, it’s about as bad as it gets. It’s not particularly new of course (unlike the school), but it certainly is “old thinking”. Designs like this make cycling difficult and unattractive, and give a strong negative message about cycling. This location features in our ‘ward ask’ for Carshalton South and Clockhouse. Addressing issues such as this will require a bit of cash, and will require making the case to residents. But addressing issues like this will demonstrate to Transport for London that there is a commitment to the bigger picture. In the autumn of 2014, a path was constructed in Overton Park for shared-use by those on foot or on bicycle. 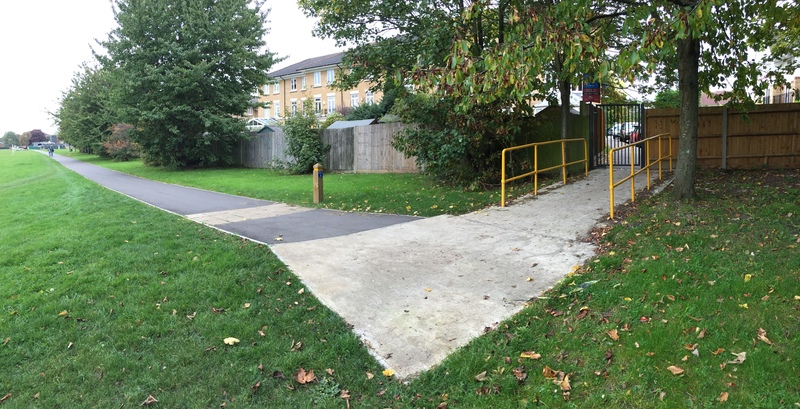 Apparently, parents of young children have found the path to be very useful because it links residential areas with a nursery and newly extended playground in the park, as well as providing improved access to Overton Grange School. Sutton Council, though, promoted this path as a cycle route, an alternative “route” for cyclists to avoid the busy Brighton Road. A shared-use path it certainly is, but in its current manifestation it cannot be described as part of a cycle route. To be part of a cycle route, proper access is required. 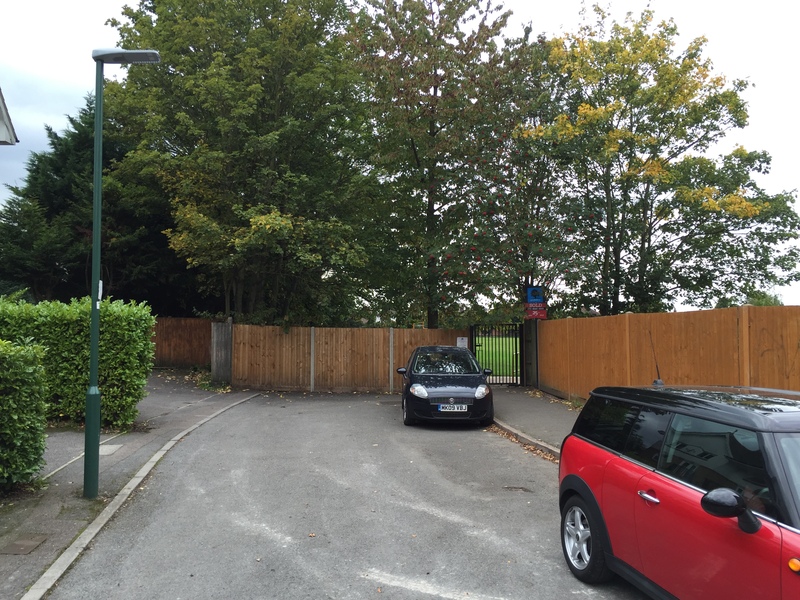 The gate on the southern side of the recreation ground at Moore Way does not facilitate proper access, neither does the pavement on the other side of the gate. Therefore, the new path is a cycle path, but it does not provide a cycle route. 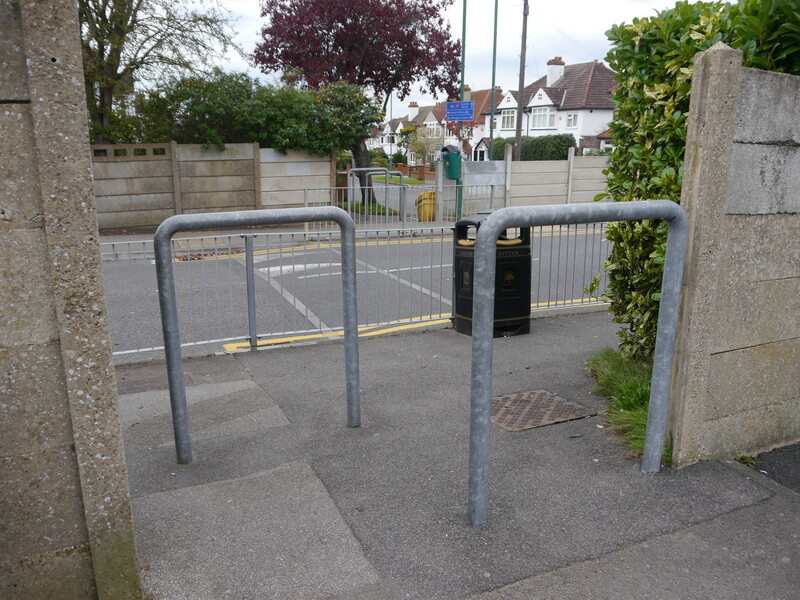 It would only form part of a cycle route if the gate was removed, and if unhindered, clearly delineated, access was provided. Even then, the alignment would not provide an alternative route for the majority of journeys that people, who would rather avoid Brighton Road, actually wish to make. (We know this from correspondence received from staff at the Royal Marsden Hospital and the Institute of Cancer Research, and there will be more on this in a forthcoming post). It tends to raise the question, why should TfL provide millions of pounds worth of funding for cycling if the Council cannot address these sorts of issues in its own back yard? Is it lack of aspiration, or is it due to the derisory funding currently provided through the LIP process? Other examples in the borough exist at Carshalton Park (at Ruskin Road and at Ashcombe Road), Reigate Avenue Recreation Ground (on the west side of Reigate Avenue and at Forest Road – noting that these are on the alignment of Sustrans “Route” 208), Rosehill Recreation Ground (on the east side of Reigate Avenue, again Sustrans Route 208) and Cuddington Recreation Ground (on St Clair Drive). None of the paths here provide anything other than, at best, recreational routes. None of the paths here provide routes for inclusive cycling or for utility cycling. And that really has to change. Who remembers the Wallington Integrated Transport Package? In 2009, it was all about putting in “infrastructure that makes walking, cycling and public transport the preferred way to travel and cuts congestion on our roads”. Seven years later, and it would probably be fair to say that not everything has quite turned out as expected. Parking continues to take priority, and cycling (and walking) continues to loose out. Evidently, therefore, driving to Wallington remains the preferred way to travel, and congestion on the roads is unlikely to be cut. You can read more about this in the post, and in a comment to the post, “No more tax-payer funded facilities until they obey traffic laws“, which caused a bit of a flurry on Twitter when published in January 2015. And part of this is all because, for whatever reason, the Council appear to be unable, or unwilling, to enforce parking restrictions on Wallington’s High Street (Woodcote Road). The painted cycle lane is pretty useless anyway, but not addressing the issue of parking enforcement is adding insult to injury. What confidence does this give about the Council’s ability to deliver well-intended outcomes? Is this the best we can do? There must be room for improvement. Parking on Woodcote Road was further discussed with Tom Brake, MP Carshalton and Wallington, in February 2016. Meanwhile, if only Wallington could look a bit more like Waalinden. For a week or so during the Easter 2015 school holidays, Robin Hood Lane in Sutton was closed to through motor traffic. We would like to think that this was as a result of our Sutton West ‘ward ask’! 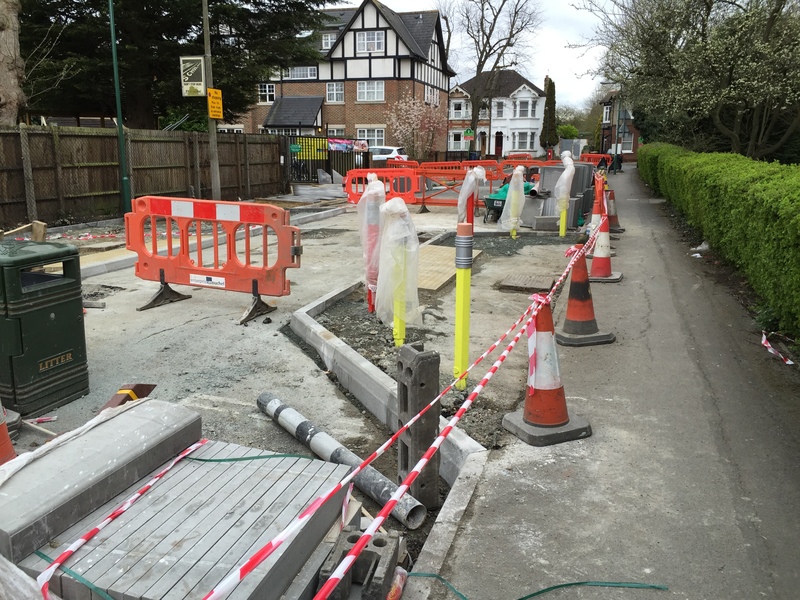 Unfortunately it wasn’t, although it was for a good cause – the closure was necessary to enable contractors to construct an enhanced and improved crossing by the gates to the Robin Hood Infants’ School. This temporary closure would have been an ideal opportunity for the Council to ask residents their views, in light of the commitments in the Sustainable Transport Strategy perhaps, on the possibility of a more permanent closure. Was the opportunity taken? We don’t think it was. In the summer, Green Lane in Worcester Park was temporarily closed too. This forms part of the LCN 75 and is likely to become a ‘Quietway’. Were residents consulted on the longer-term view? If they had been, the Council could have used this as evidence of its intentions. Also, of course, it would be good to have the conversations first in order to hopefully head off the chants “no to road closures” – see “Council Leader says ‘no turning back’ on Mini Holland Cycle Scheme” in the Walthamstow Echo, 23 October 2015. What will Transport for London make of all this? We pose this question because, although all boroughs are guaranteed a certain amount of cycle funding from TfL in terms of the LIP process (regardless, it would appear, of how the borough (officers and councillors) decides to spend that funding), TfL can, and will, refuse to give additional funding if boroughs are not prepared to do things properly. This is a point that Andrew Gilligan, former Cycling Commissioner to former mayor Boris Johnson, made on several occasions, including at the Hackney Cycling Conference in June 2015. Therefore, in order to increase our chance (or, better still, to ensure our chance) of receiving the levels of funding required to facilitate the type of schemes required on TfL roads (and indeed some borough roads such as Park Lane and Brighton Road), the Council needs to convince TfL first that it is worthy of the investment. And the best way of doing that is to demonstrate a commitment to cycling on our own streets. 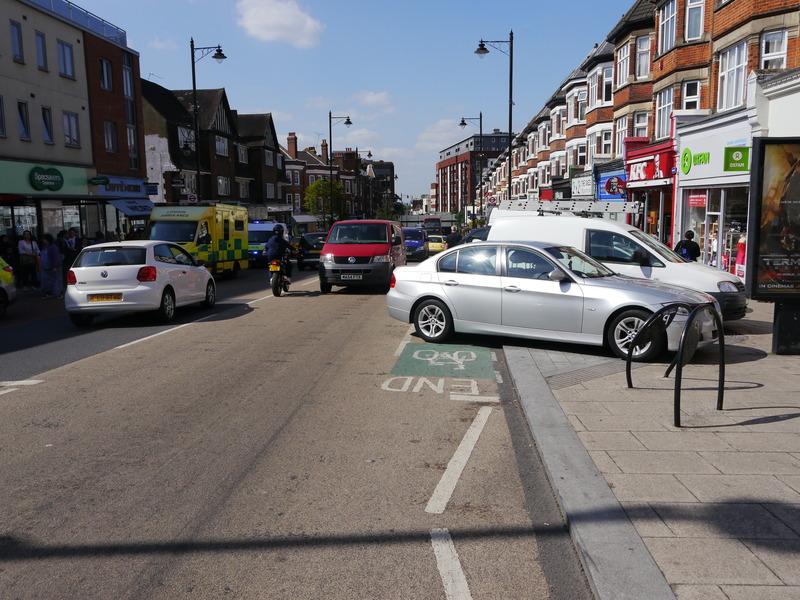 At the Haringey Cycling Conference in September 2015, Haringey Councillor Stuart McNamara, Cabinet member for Environment, said “do not judge us by where we are, judge us by where we want to be”. At the moment, here in Sutton, we can only judge Sutton Council on cycling by considering “where we are”. Without a review of our ‘ward asks’ for borough roads, it is difficult to conclude where the Council “wants to be”. TfL may not come to the same conclusion of course, but can we chance it? In recognising that we can do better, and that we need to do better, it is hoped that the ideas outlined here will help deliver the aspirations set out in the borough’s Cycling Strategy. Only time will tell. Great summary Charles. Whether I ride into London or out to the countryside, Sutton is the worst part of my journey. The facilities are non-existent and the driving is aggressive. There is no aspiration to increase cycling from the council. As you mention, parking is the number one priority. And why does everyone feel they have to drive half a mile into town? Because the roads don’t feel safe for people, especially if they have kids. However, we have National Express flying through town on an hourly basis seemingly immune from speed restrictions.